Interviewer: What role does the essay play for you as a writer? Jeff: For me, poems are about emotion and imagery, and fiction is about setting, plot, and characterization. Essays—any sort of creative nonfiction—are about thought, reflection, remembrance. They’re a partly emotional, partly intellectual means of making sense of things. Interviewer: What inspires you to write an essay? Jeff: I think about writing a personal essay when I’m drawn to subject matter simultaneously semi-personal and semi-public that I want to work out, a topic that I have strong feelings about but one that is larger and wider than my personal experience. Interviewer: What essay of yours did you most enjoy writing? Why? Jeff: Damned good question. I need to browse what I’ve published. Hmmm. 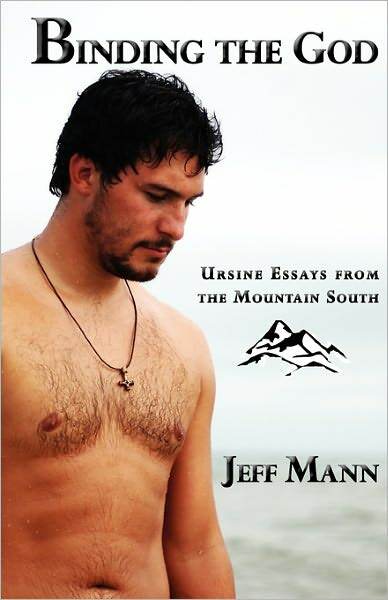 Maybe “‘Till the Ductile Anchor Hold’: An Appreciation of Appalachian Folk Culture” in my second essay collection, Binding the God: Ursine Essays from the Mountain South. It was fun to situate my life experience and memories in the larger context of my native region’s folklife: the dialect, the superstitions, the festivals, the food.